This sacred tree guards against cancer. 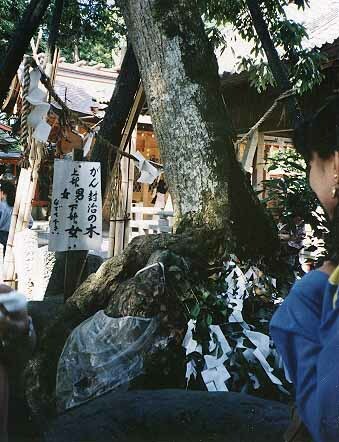 Shinto, kamisama, sacred, tree, paper, visit, touch, cancer, believe. Description, to become (well), verbs.